Did you catch how some celebrities on the web called out certain other celebrities on Twitter and FB last week when the Quotable Author-Poet Maya Angelou died? The criticism was that they were just using the amazing writer’s death to collect pings and draw traffic for themselves now that she had passed but a lot of them had never acknowledged her while she lived. Do you think it matters? 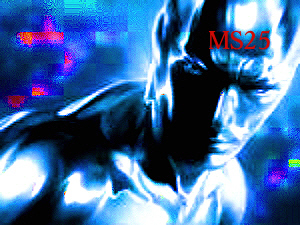 Or is it never too late to give up some respect for people who have earned it? 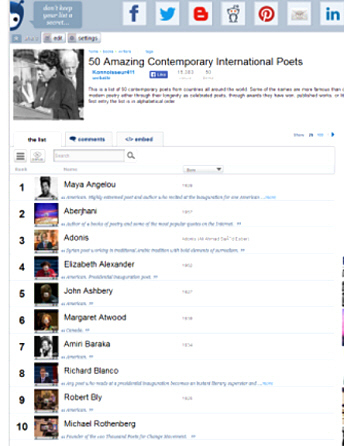 Before Angelou passed, the authors were back-to-back on the Ranker list of 50 Amazing Contemporary International Poets. The original list was supposed to be alphabetical, which would have put the Quotable Poet at number 1, but Angelou has occupied the number 1 position since the list first popped up. 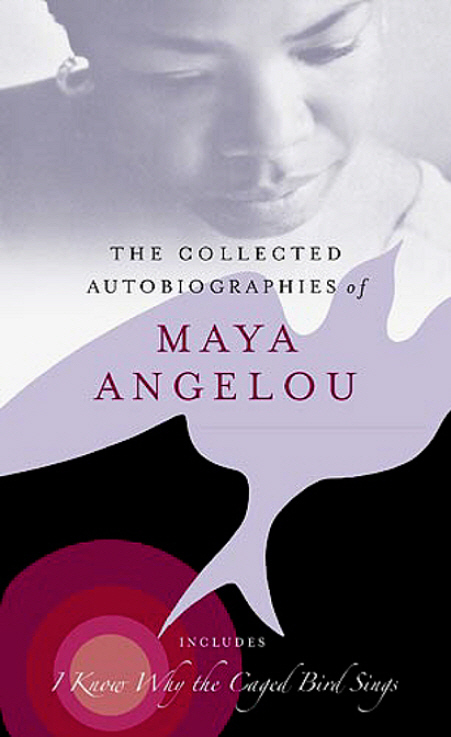 Although Angelou has never received a Nobel, a Pulitzer Prize, or American Book Award, she is nevertheless: an acknowledged presidential inauguration poet (for William Clinton, 1993); the acclaimed author of I Know Why the Caged Bird Sings in addition to other noted memoirs; an honored actress; a celebrated television literary personality; a life-time appointed Reynolds Professor of American Studies at Wake Forest University; and an all-around lionized icon of letters in her own right. In addition, like [Toni] Morrison, Angelou’s work has been frequently celebrated by [Oprah] Winfrey and the media tycoon has referred to the author as one of her mentors. Smokin’ HOT Whitney Houston photo courtesy of Black Celebs.com. 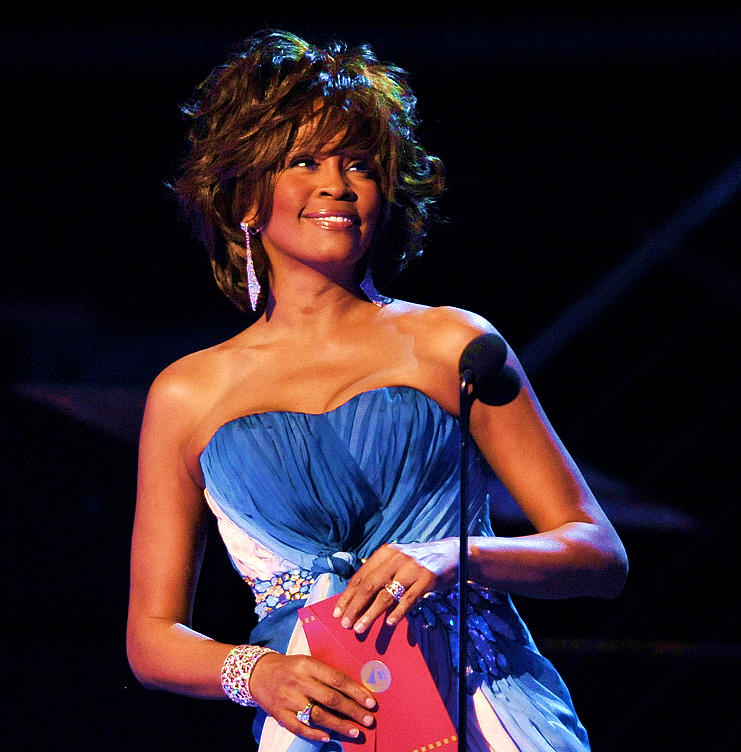 It didn’t take long for the Quotable Poet’s tribute poem The Consecrated Soul of Whitney Houston to ricochet around the web. But that’s not why it’s our Poem of the Month for March. The last time the Quotable Poet Aberjhani ran an editorial combined with a poem was when the Fukushima tsunami and nuclear catastrophe hit hard and he posted Nuclear Snow in Japanese Springtime in his Examiner column. That’s something to think about because it means he did the same kind of hard digging and muscle flexing to acknowledge Whitney Houston’s passing as he did to honor the people who suffered from that world-class nightmare. 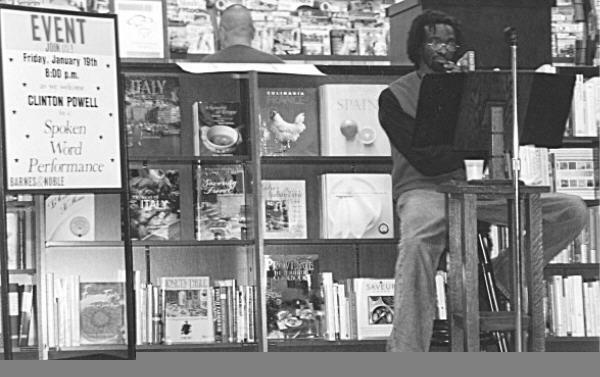 Poet and theater director Clinton D. Powell speaking the word in Barnes and Noble. A poem for a poet. Something about the way the poem is laid out doesn’t hit me as right but I can’t claim expertise here so accept it as a nevertheless righteous tribute to the Poetry Man of the Hour Clinton D. Powell.